Stress. It is everywhere around us. Even worse, it gets inside us: sapping our energy, undermining our health, and making us more vulnerable to anxiety, depression and disease. improve overall quality of life and relationships through mindfulness meditation and mindful yoga. 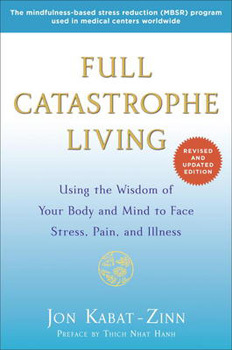 More timely than ever before, Full Catastrophe Living is a book for the young and the old, the well, the ill and anyone trying to live a healthier and saner life in today's world.